What other kinds of Christmas gifts can you give to a book lover aside from books and more books? What are some of the more useful Christmas gift ideas for bookworms? You must be thinking 'why do I need help in thinking of Christmas gift ideas for the book lovers that I know? I don't need help. It's so easy to come up with something. I'll just get them a book'. That may be so but what reasons are there that you might decide not to give someone a book for Christmas even if that person is a bookworm? And for those that want to be different, what kinds of useful gifts can you possibly give to a book lover for Christmas? Many who know book lovers will probably not even think twice about choosing to give them a book as a Christmas gift. Of course, there's really nothing wrong with that at all and the book lover will surely appreciate getting books as presents. However, there are some things that you might want to take into consideration before heading for the nearest bookstore, online or otherwise, and purchasing the first book that you see for the bookworm that you know. First of all, do you know your book lover well enough to know what kinds of novels he or she likes reading? What is her favorite genre? Who is her favorite author? Do you know what kinds of books he or she already has in his or her collection and what kinds of books he or she has already read? You need to keep these things in mind because you don't want to end up getting your bookworm a book that he or she already has a copy of or has already read. Of course, you also want the person to enjoy the book they're going to be getting for Christmas so you don't want to end up getting them something that they won't even read because they don't like the genre or for some other such reason. If you don't have access to this information, then it might be a better idea to get your bookworm something else as a Christmas present unless you can ask someone or even the intended recipient of your book gift what kind of book you should be getting him or her for Christmas. Some might be thinking that they couldn't possibly go wrong with getting their book lovers novels that are popular and well-known especially those that are highly-rated and talked about in the news and even those books that have been turned into movies. Depending on the bookworm in question, this may or may not be a good idea. The book lover that you know may have already read these kinds of books especially if they keep up with this sort of thing. But it can also be that your book lover just may not be interested in these kinds of books. Besides, these aren't the only kinds of books out there. There are so many other kinds of books that some may be unknown to many others including the bookworm in question and he or she would surely appreciate being introduced to a good new book or new author. Just because someone is a book lover doesn't mean that you should give him or her books all the time. This person surely has other hobbies as well as likes aside from reading and would thus appreciate getting other gifts aside from books. Besides, if you already gave this person books last Christmas, wouldn't you want this year's Christmas present to be different? Moreover, giving books to bookworms is much too predictable that it's practically expected. If someone is a book lover, it's like practically a given that he or she will get books as Christmas gifts. Don't you want your present to be different? You could give considerably more thought to your Christmas gift, which will surely be appreciated by your book lover. 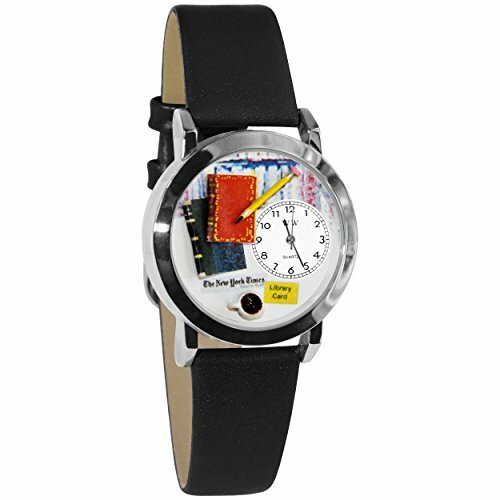 After all, you could opt to give him or her useful gifts that, as a bookworm, he or she, will surely love and cherish. 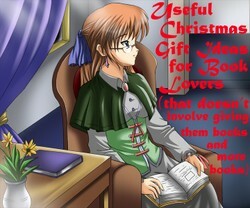 So, what are some of the useful gifts that you can choose to give to a book lover for Christmas? Does the bookworm you know have a whole lot of books, so much so that it seems like his or her house is filled from top to bottom with books and more books? If so, this book lover will especially appreciate getting a bookshelf as a Christmas gift so he or she can make use of it to store their many books. However, there's no need to limit yourself to giving your friend or relative the regular kinds of bookshelves, which he or she might already have anyway. For something completely different and very much interesting and useful, you could decide to give your bookworm a floating bookshelf. 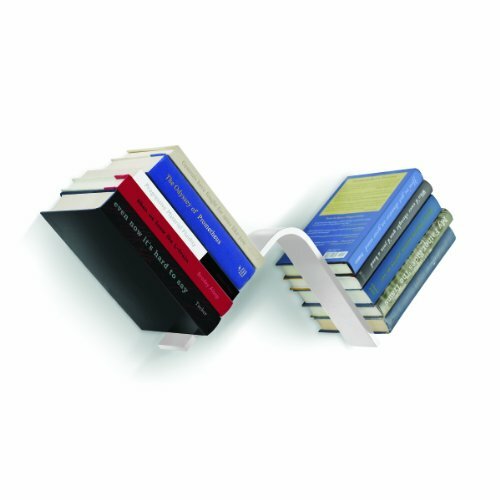 The item featured above is an example of what is known as a floating bookshelf. As you can see in the image below, this bookshelf is meant to be placed on the wall. The books placed on this bookshelf will not fall and will remain exactly where they are. With the L-shape of this particular bookshelf and the way it is placed on the wall, it gives one the impression that the books on it are floating as they appear to be defying gravity. This bookshelf isn't just cool, it's also very helpful and useful particularly for those that have way too many books and are at a loss as to how to store these books. Floating bookshelves will allow your book lover to free some space in his or her house as he or she places a multitude of books on these shelves. Depending on how these bookshelves are placed on the walls, they can be a way to add some decoration to an otherwise bare and plain-looking wall. Those who read paperbacks or hardbound novels will surely appreciate getting a bookmark with which to mark their place in the book so they won't forget which part they're reading or, if they didn't forget, they can easily find it again without having to peruse through a number of pages. While it appears that pretty much anything can be used as a bookmark (such as a random piece of paper), there are those who wouldn't mind getting good-looking bookmarks with beautiful designs. If you're going to give someone a Christmas present though, there's no need to limit yourself to simply bookmarks especially when you can go all out with your gift. 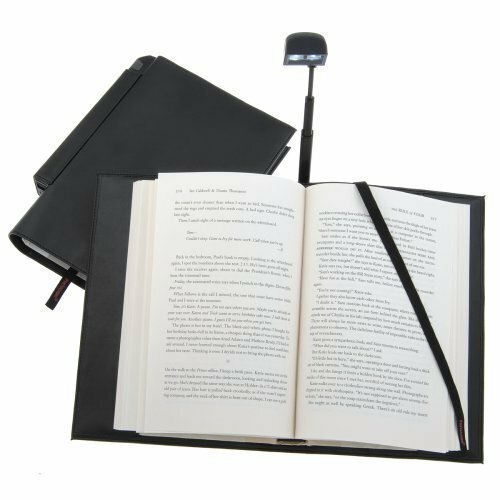 You can do that by giving your bookworm a bookmark, book light and book cover all in one package. This is illustrated by the item that you can see below. With this product, your book lover need not worry about losing their place in the current book they're reading thanks to the bookmark that comes with this item. And, aside from that and the book cover, they even get a book light, which would enable them to read books pretty much anytime, anywhere without having to worry about it being too dark to see anything. You must be wondering how exactly a game can be classified as useful or why your bookworm would want to have anything to do with a game. With so many different kinds of games out there, many might not realize or even know that there are actually games that have a book theme or are geared for book lovers. An example of this is the game featured to the right. Games like this are designed to interest book lovers precisely because of their theme and this is one reason why book-themed games can be such useful Christmas gifts for bookworms. Why? This is because many book lovers might be more inclined to spend a lot of their time reading books than hanging out with their friends and family. For those who love reading, it can be easy to lose yourself in the fantasy and magic or in the genre and world of whatever novel you happen to be reading, so much so that you might forget everything and everyone else around you. There's nothing wrong with reading and it's certainly a good way to pass the time. However, it's also good to be able to take a break from reading every once in a while and take some time to hang out with your friends and family. 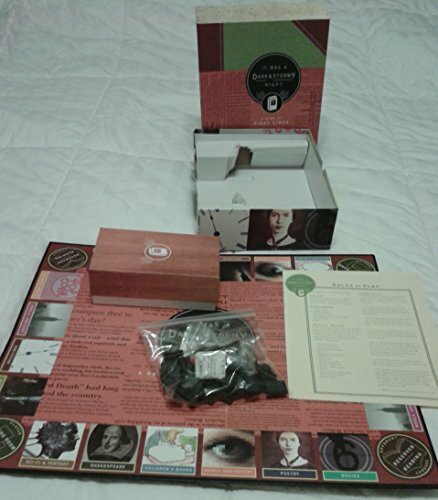 Giving your book lover a book-themed game as a Christmas present should make it easier for you to coax this person to part with his or her books even for just a short while and play a few games with everyone else as you all take this opportunity to bond and enjoy the holiday season together. The game It Was A Dark & Stormy Night can be played by 2 to 4 players or teams as it includes four pawns or pieces to represent each of the players. The main objective of the game is, of course, to be able to correctly identify the title of a book or the name of its author after hearing the first few lines from said novel. The first person or team to be able to do this 8 times will be declared the winner. There are many categories and genres of books included in this game such as children's books, non-fiction and even poetry. Your bookworm might have read most of the novels mentioned in this game however, just maybe, there might be some books that he or she hasn't yet read or encountered and, seeing that book's first few lines might just give your book lover new novels to read and even new authors to check out. For book lovers that travel around a lot and would like to read while they're on their way to their destination, an e-book reader sounds like the perfect Christmas gift for them. With an e-book reader, bookworms will not have to carry around several volumes of books, hardbound or otherwise, just to be able to read something wherever they may be. Furthermore, with just a single e-book reader, bookworms can have access to a whole lot of books so they never have to worry about being finished with reading a book and not having a new book to read. The e-book reader featured to the left is so lightweight that you can easily hold it and carry it with just one hand. Its size and weight also makes it very portable, so much so that you can take it with you pretty much anywhere and everywhere. 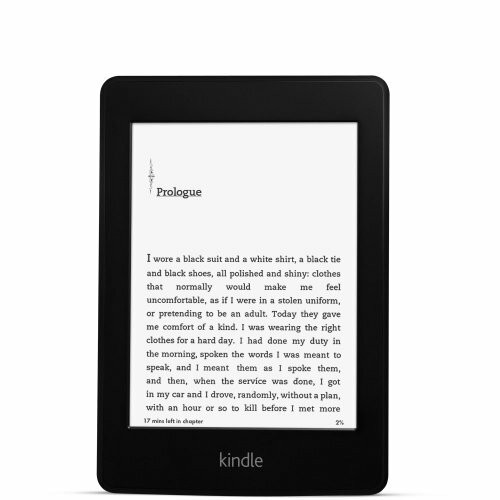 The built-in light of the Amazon Kindle allows book lovers to be able to easily read their chosen e-book even in the dark. One of the best things about the Kindle Paperwhite 3G is how it's more than just a device that allows bookworms to be able to read their beloved novels. The Kindle has many, many more features that goes beyond just book reading such as in the form of its built-in dictionary. Now book lovers won't have to go hunting for a dictionary whenever they encounter a word that they don't know the meaning of in the book they're currently reading. Bookworms can even adjust the size of the text that the book they're reading appears in so it doesn't matter if they prefer smaller or bigger text or even somewhere in-between because they're sure to be able to find the perfect text size for them. These are just some of the many wonderful and awesome features that the Amazon Kindle Paperwhite 3G has. It has many more features that are sure to delight book lovers especially with how useful and helpful these features can be. Are you going to give your book lover a book as a Christmas gift? These are just some of the useful gift ideas that you can give to book lovers for Christmas. There are many possible gifts, other than books, that bookworms will surely love and appreciate getting for Christmas. So you don't have to limit yourself to getting your book lover books and more books as presents especially if you're not sure if he or she already has copies of those books. You can also add a short personal note or message to your Christmas gift by way of a Christmas card. @ JoHarrington - thank you. :) I also want one of everything. All these should be good choices for all those who love books. @WordChazer - thanks. I agree that the Kindle can be a really good and useful gift choice for book lovers especially for those who are wont to travel so they won't have to carry around so many books that might be too heavy for them. It's great to be able to store so many books in one single device and then be able to easily choose which one you want to read whenever you want to read it. Hope you can get the Kindle too. Mum's favorite gift from my husband and I for many years was a book light. She used it on every flight until dad bought her the Kindle last year. Now she wants Amazon vouchers to stock upon her favorite books on the Kindle. I have a Kindle reader on this netbook but am not quite there with a Kindle itself yet. I'm sure my husband will oblige when I do get to that stage, however. Some great gift ideas there. I want one of everything! @Mira - thanks. Yes, I found the floating book shelves to be such a cool idea too. And it's great for freeing some space especially for those with a lot of books since the books will be placed on the walls and won't have to clutter the floor. @jptanabe - thank you. Yeah, if the bookworm didn't specifically ask for a book as a gift, it might be best to get them other Christmas presents because you might just end up getting them books that they already own or have already read. 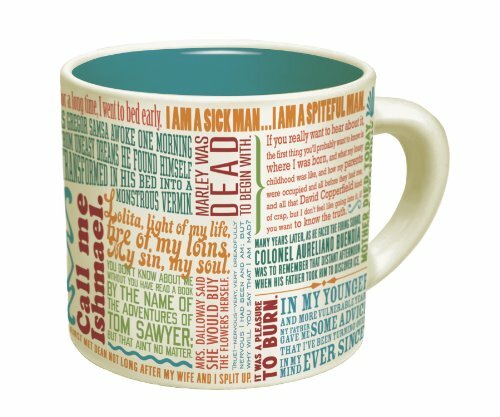 What a great collection of ideas for gifts for bookworms! I agree that buying bookworms a book isn't always the best plan - unless they specifically ask for a particular (usually expensive!) book. Are there any useful Christmas presents that you can give to Astronomy lovers that doesn't involve getting them a telescope? What are some of these possible interesting gift ideas? What kinds of presents, other than chocolate, can you give to chocolate lovers for Christmas? Are there any gifts that may not be chocolate but can still be related to chocolate?